Macular degeneration is a common condition in older adults and the leading cause of vision loss and blindness in people over the age of 65. 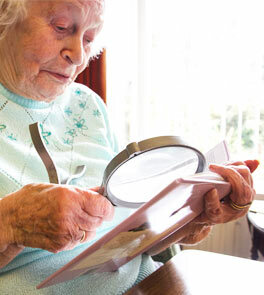 Macular degeneration is also known as age-related macular degeneration (AMD). Macular degeneration affects the macula, the part of the retina responsible for the crisp, detailed vision needed for reading or driving. As we age, the tissue in the eye responsible for central vision slowly begins to deteriorate which can significantly affect a patient's quality of life. Macular degeneration can be classified as either wet or dry. Dry macular degeneration is the more common diagnosis.